Students For Co-operation is a new national representative body for student cooperatives. It will provide support and training to members of student co-ops in the UK & assist in forming new co-op groups and expanding those already existing. They are putting on a big conference early 2014 so look out for that. "Together the co-operative economy is worth some £36.7 billion and the number of co-operative memberships is 15.4 million. Co-operatives are the largest membership movement in the country." We have a unique role as a trade association for co-operatives. We aim to bring together all those with a passion and interest in co-operative action. 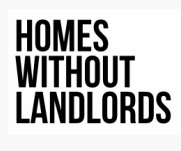 Radical Routes is a great supportive network where you can find out more about DIY housing co-ops in the UK. Radical Routes is a network of radical co-ops whose members are committed to working for positive social change. The network is made up mainly of housing co-ops of various sizes (none with more than 17 members), a few workers co-ops and a couple of social centres. The International Co-operative Alliance is a good place to find out more about the global co-operative movement. The International Co-operative Alliance unites co-operatives worldwide. The ICA advocates the interests and success of co-operatives, disseminates best practices and know-how, strengthens their capacity building and monitors their performance and progress over time. The Edinburgh Student Housing Co-operative campaign is another frontrunner in the UK student housing co-op race. They are negotiating with their university to locate an appropriate ex academic building and are making good progress. green bike project and students for co-operation. NASCO or the North American Student of Co-operation is a network of Student Co-operatives in the USA. Well established, they have been providing affordable student housing through co-operatives for many years. Berkeley Student Housing Co-op is a great example of a well established student housing co-op in the US. They house over 1250 students at well below market rate and run their own canteens.